The House of Seven Rivers is a unique exotic rolling home. A true masterpiece of design, engineering and craftsmanship; this motor home is constructed of the finest materials in true yacht quality. 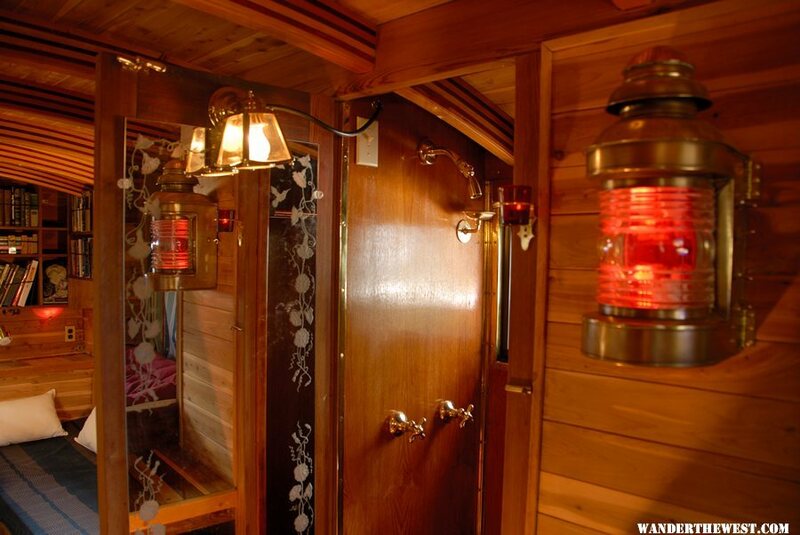 With an incense cedar interior, arched beam ceiling, stained glass windows, a shower lined in teak wood, counter tops of multi-varied exotic hardwoods accented with strips of ebony, and sheet copper roof, no other motor home in existence compares at any price. 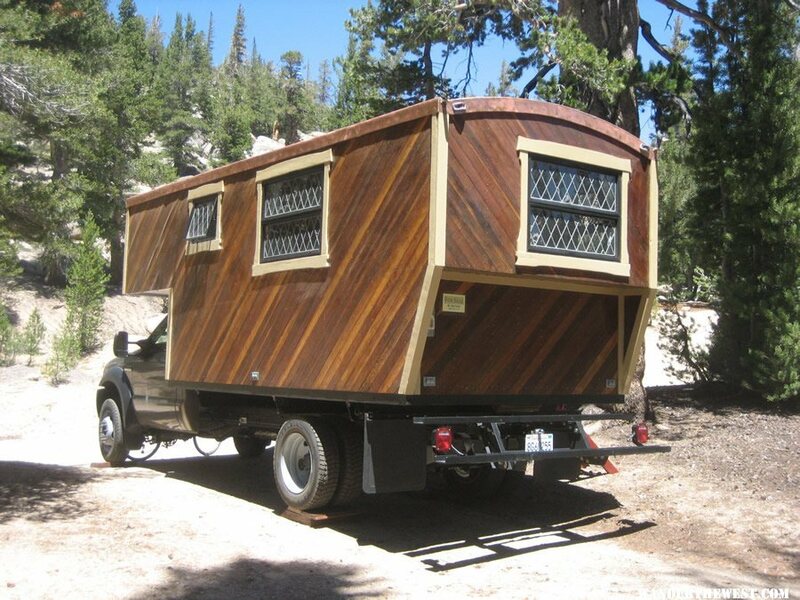 A handcrafted house truck with cedar interior. More info. here. absolutely beautiful & breath taking! I might never want to leave my abode!! Nice, but for the price I’d like to see a proper solar setup included. Also, it looks like there’s a shower but no toilet? With a copper roof and no roof vents who’s setup will turn into an oven in no time at all. Andy, No toilet is needed because once people see the price tag of $165,000 (before add-ons and taxes) they poop in their pants. …and I almost pee’d in my pants laughing at Steve’s comment. You’re right – no toilet needed, just a place to store the Depends! 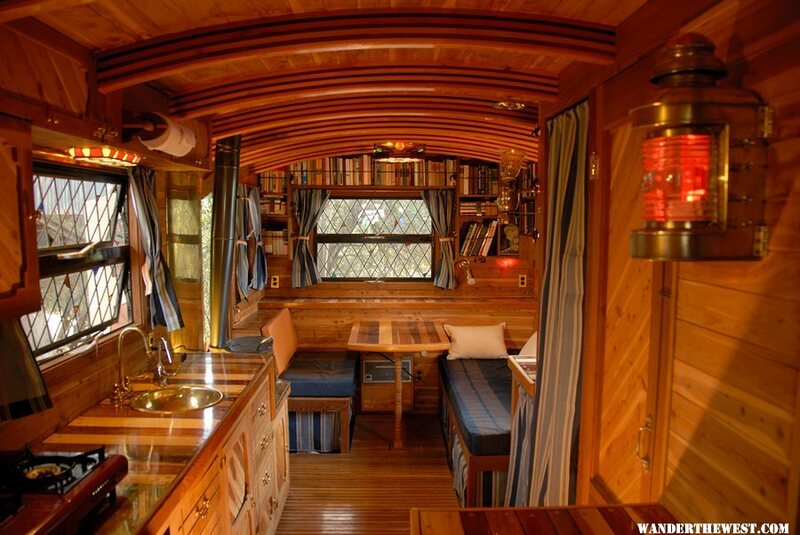 The nautical touches are wonderful and it is beautiful inside. I do believe that it is the gorgeous wood that has the price so high. Teak is very pricey and the beams had to cost a pretty penny as well. I’m guessing there is a toilet, but you just can’t see it (?) Is the sleeping area just the longer bench seating by the table? Personally, I need a dedicated, comfy place for sleeping. Lovely tiny home. Oops! I should have read the info in the link before I questioned the sleeping area….I see it now and it’s a great area for sleeping! I hope just the right person comes along to purchase and enjoy it. When I first saw the pictures my brain said, “Yummmmm!! !” But, alas, no matter how beautiful, if it’s out of your price range then it might as well not exist at all. I’m sure someone out there will pay the price for it because it is truly beautiful. If I were a potential buyer, though, I would want to know if this could be used in minus 40 degrees of cold weather? If not, then I couldn’t use it to go where I wanted it to go. But still, this build is something to look at and admire. The craftsmanship in this is simply incredible! Hmmmm . . . nice build. Unique approach. Lots to admire. However, the description just leads me down the wrong road on this one. It’s pretty lofty to claim that no other motor home in existence compares at any price. Really? Exclusive, limiting language simply lacks the humility and simplicity of the tiny home genre for me. A person could spend much more than that building a tiny home, but still be humble and factual at the same time. If you want a similar look to Teak at about half the cost, consider Iroko. (Sometimes known as African Teak, although it is actually unrelated.) It’s just about as weather resistant as teak, but not quite as durable. Still a great option. omg, it is beautiful! but someone is trying to sell this for huge globs of money but doesnt take adequate pictures??? Where is the videos? The builder should sign with an actual “real estate” agent that caters to rich suckers…I mean clients. Yep, it’s all a bit breathless and the more I look at it, the more I see that could do with improvement. The stove is a simple $50 tabletop model, there’s no overhead storage in the kitchen, the fridge looks tiny. 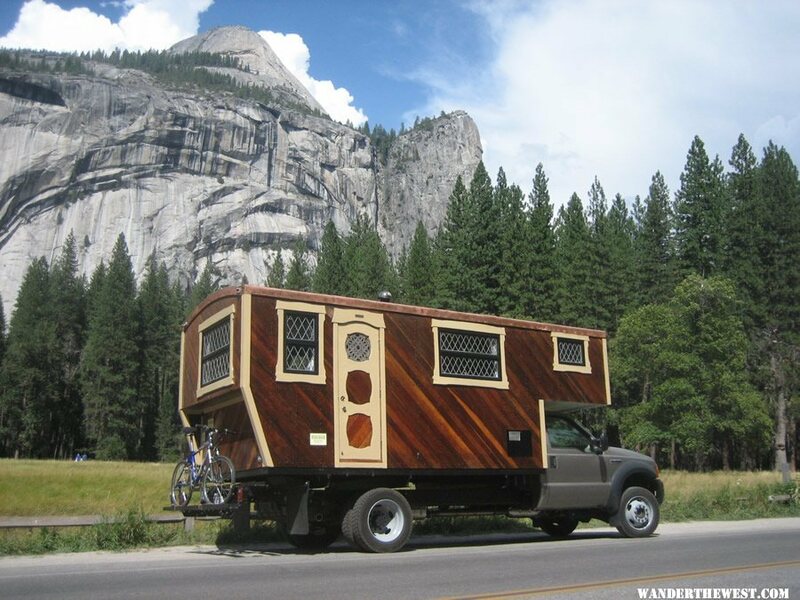 While I appreciate the craftsmanship that went into this camper, the practicalities appear to have suffered. 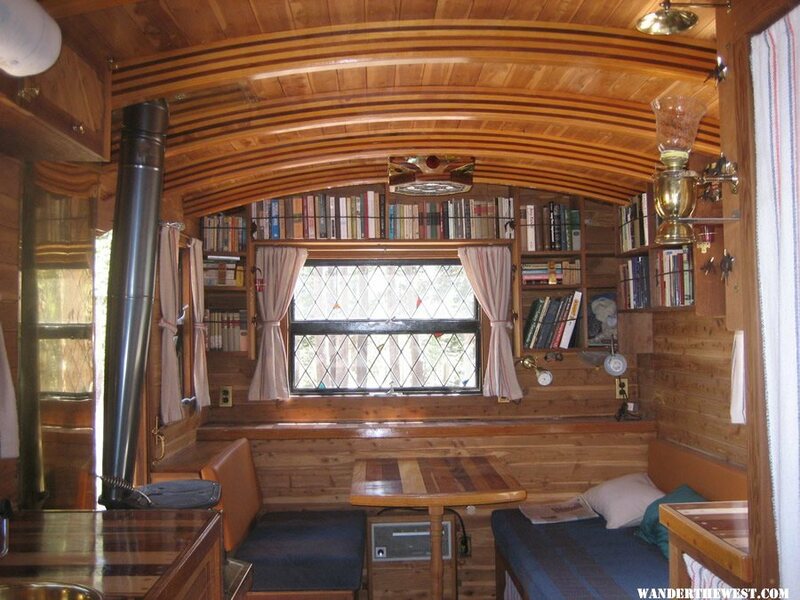 I think I much prefer our old Airstream to this. Geez! Beautiful, but for that price just buy a whole house. Even if you just want something to caravan in, you can get something bigger for that price. No wonder they are offering commission to someone to find a buyer. It’s an extremely narrow niche that this speaks to. Mighty useful. Make no mistake, I apicerpate it. Gorgeous home. I normally don’t like this style, but it was done so well.